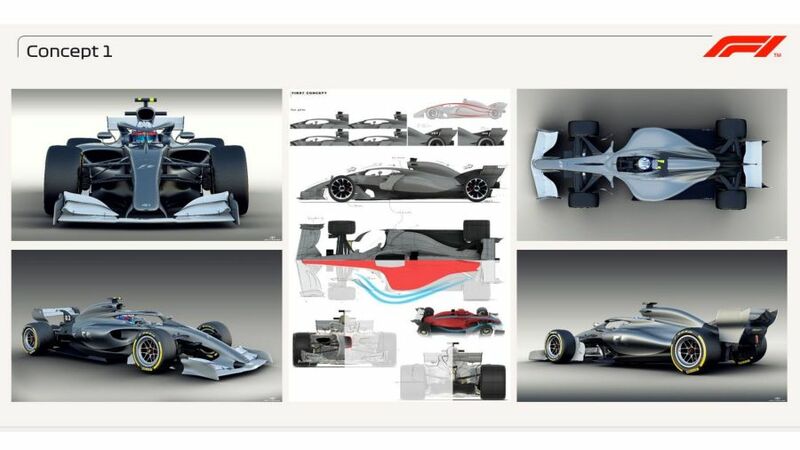 According to F1, this concept shows "how the halo cockpit protection device can be much more integrated and subsequently more aesthetically pleasing". Whether the halo will ever be aesthetically pleasing is up for debate. But at least we know it is safe. 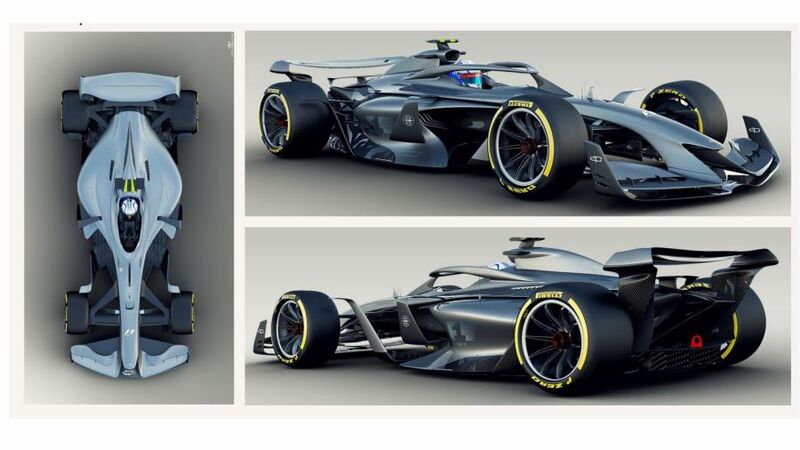 Ross Brawn said of this design: "As the aerodynamicists were evolving the car, the graphics designer was taking where they were and trying to capture it at each stage. "Concept 2 is a bit more extreme. One of the things you'll see is the bigger wheels. We're committed to 18-inch wheels for the future. They look better but there are a lot of technical reasons why we want them." Now this looks like a proper concept car: part recognisable machine, part spaceship – just look at that rear wing! The wheels give the design a monster-truck vibe, but one thing's for sure, it looks FAST. 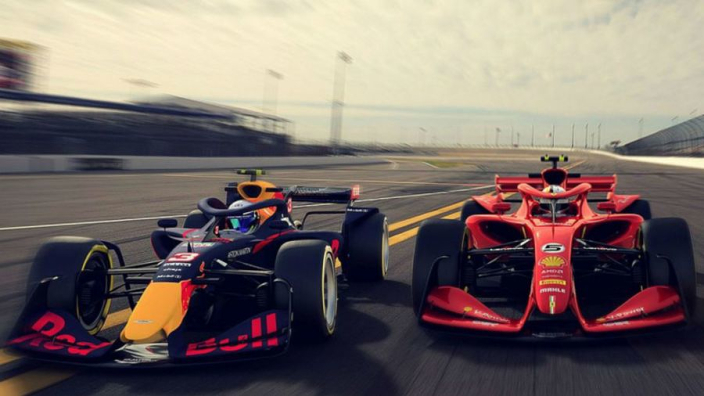 Similar things were said about the current cars when they were launched in 2017 – will overtaking be any easier with the new design, though? "The tyres and the wheels are the dirtiest area of the car, they cause huge disruption in the airflow," said Brawn. "We are starting to look at devices that can stabilise the flow as it comes of the wheel. It’s maturing as we go along." 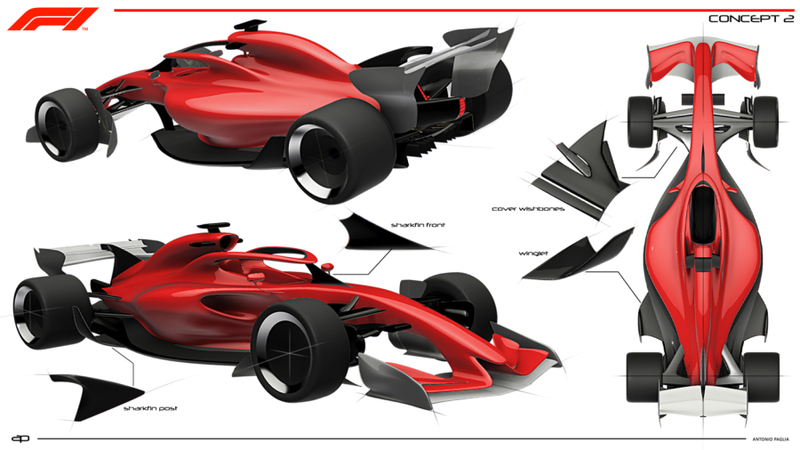 Hamilton is a fan, and suggested that the designs had him thinking about a longer-term future in the sport. Ferrari team principal Maurizio Arrivabene? Not so much. He said: "I was looking the cars presented a couple of days ago by Ross. It's a good exercise. I was asking our engineers what they thought about it. "They said it's a bit underwhelming in their opinion and it looks like an old Champ Car but it's an exercise."